Tucked away in a courtyard just off Stockton High Street, The Georgian Theatre's unpretentious interior provides an intimate setting for an evening's entertainment. No glitz or glamour, just a good pint and some of the best live music around! At Saltholme, you’ll find a world of amazing wildlife thriving right in the middle of the Tees Valley’s heavy industry.Surprising, isn’t it? But this is a brilliant place for wildlife – and for you! 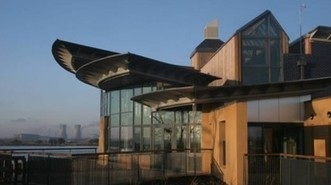 Come and explore the state- of-the-art visitor centre with panoramic views of the reserve and its industrial backdrop. Follow your nose to the café to sample freshly brewed coffee and home-cooked meals, and then stop off in the shop for a bit of retail therapy.Get outdoors with the family to explore the discovery zone and run, jump and clamber through the adventure playground. 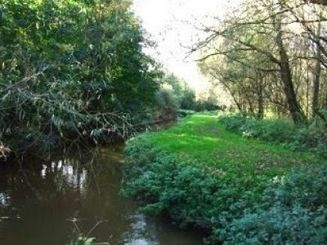 With its colourful meadows, ponds, marsh and woodland, Billingham Beck Valley is one of Stockton Borough’s most interesting areas of countryside. This wetland provides a home for plants and animals, which are beginning to disappear from our countryside. The Ranger Service at Billingham Beck Valley Country Park leads themed school groups including pond dipping , habitats and how plants and animals live. WHERE ? Park at the Teesmouth NNR car park alongside the A178 at Greatham Creek, cross the road with care, and follow the Easy Access Path along the south bank of the creek to the two bird hides overlooking Seal Sands. While power stations and other industrial sites may loom large on the horizon, the reserve is still home to an amazing array of flora and fauna.Look out for harbour seals and grey seals basking beside the tidal channels, rare plants including four different species of marsh orchid, and thousands of migratory waterbirds swooping down to feed on the mudflats. Seal Sands is one of the largest areas of intertidal mudflats on England's north-east coast. When the tide is out, hundreds of waders, including redshank and dunlin peck through the mud looking for invertebrates. The colony of harbour seals haul out on the sand banks at low tide; their pups are born here each summer, making Seal Sands the only regular breeding colony of these animals on England's north-east coast.